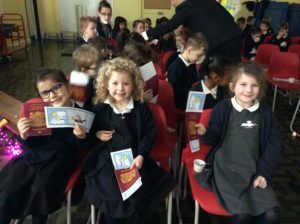 Year One started their new topic ‘Up Up and Away’ by taking a flight to New York! 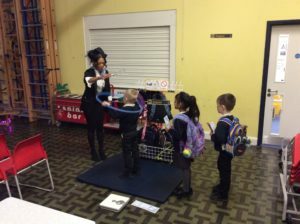 All children checked in with their passports, weighed their bags and went through security. 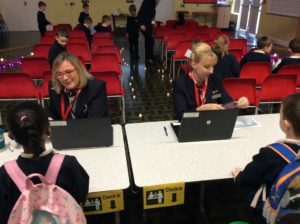 The children were given boarding tickets and had to find the correct seats. 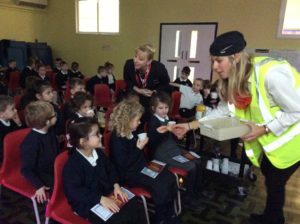 We were fortunate enough to have Brirish Airways’ air hostesses who went through the safety briefing and served drinks and snacks. 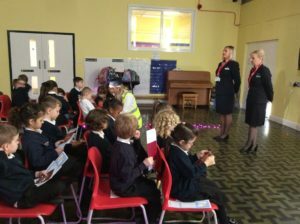 A pilot from Easy Jet then visited all three classes to answer the children’s questions. 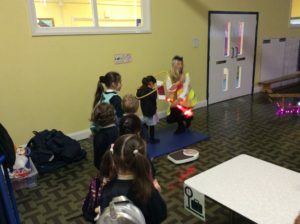 The children continued the week learning about North America.